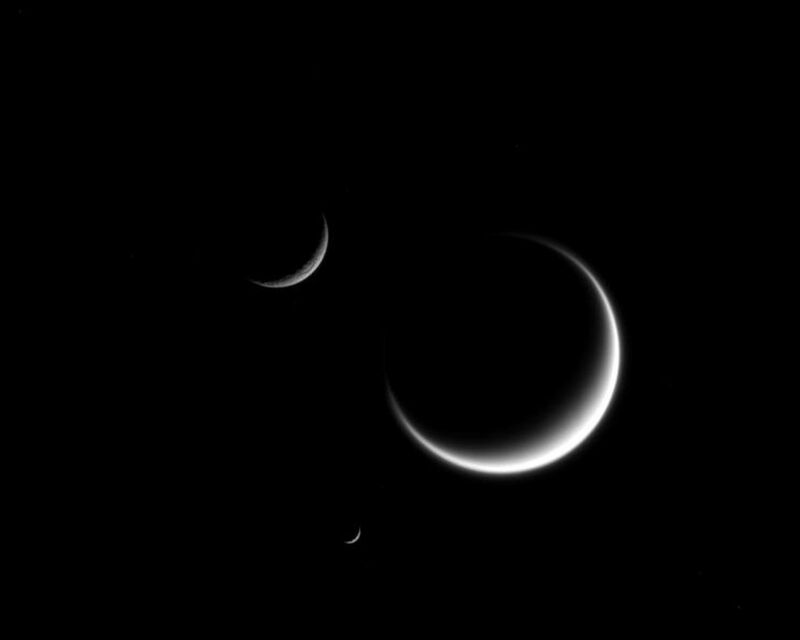 The three moons shown here -- Titan (3,200 miles or 5,150 kilometers across), Mimas (246 miles or 396 kilometers across), and Rhea (949 miles or 1,527 kilometers across) -- show marked contrasts. 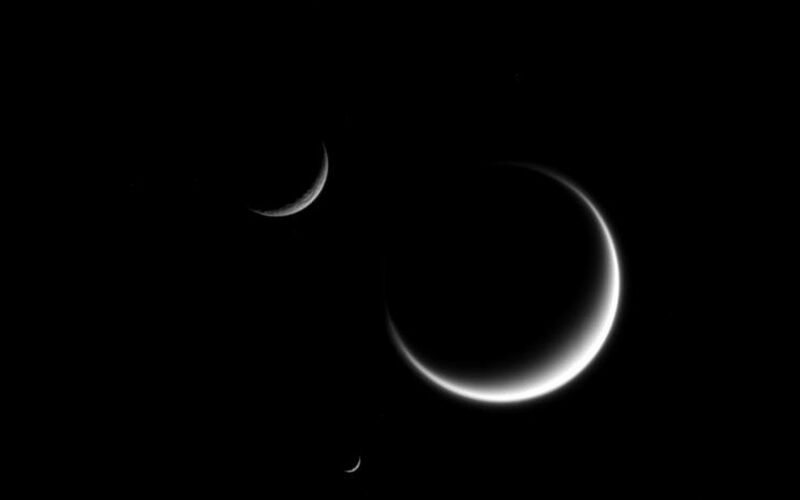 Titan, the largest moon in this image, appears fuzzy because we only see its cloud layers. 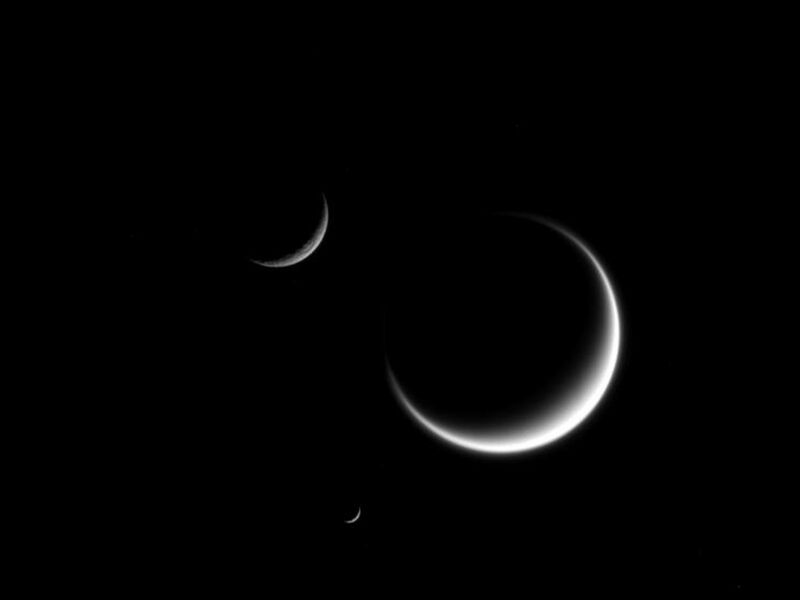 And because Titan's atmosphere refracts light around the moon, its crescent "wraps" just a little further around the moon than it would on an airless body. 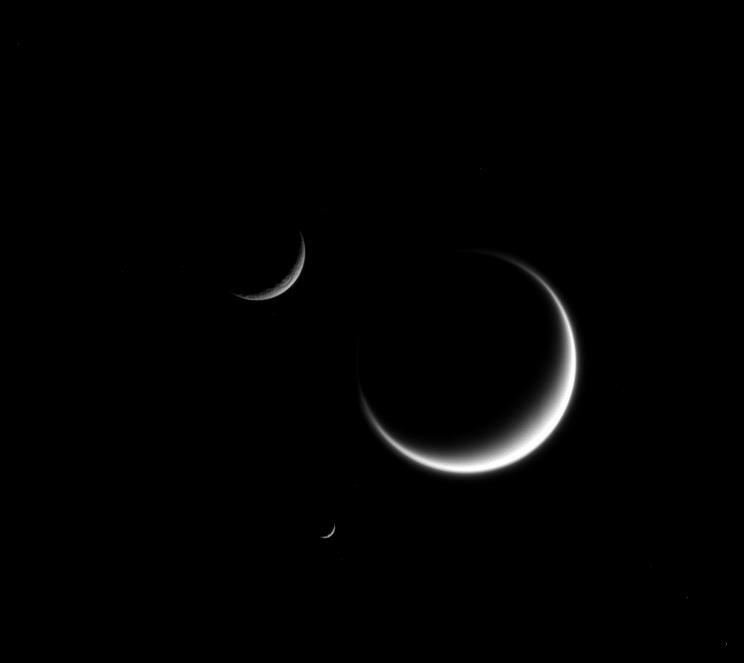 Rhea (upper left) appears rough because its icy surface is heavily cratered. And a close inspection of Mimas (center bottom), though difficult to see at this scale, shows surface irregularities due to its own violent history.